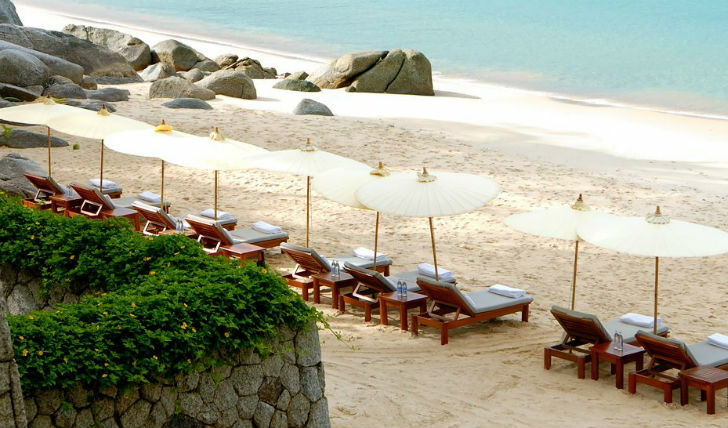 With a name meaning ‘Place of Peace’ in Sanskrit, Amanpuri is an amazingly tranquil hideaway. 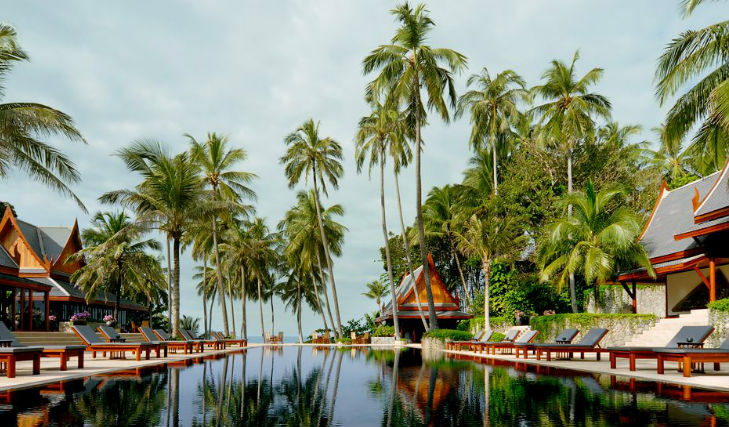 With just 40 Thai style villas, you’ll feel completely relaxed among the coconut trees and the white, sandy beach. If that’s not enough, take a treatment in one of the rustic spa pavilions and rejuvenate with a private yoga lesson or meditation session. Perched on the western coast of Phuket, Amanpuri is a 30-minute drive from Phuket airport by the hotel’s complimentary, private limousine service. Camouflaged by the jungle, the only thing that lays between you and the alluring Andaman Sea is the soft, white beach. Bury your toes in the sand, or lay back by the pool and gaze up at towering palm trees against blue skies. Reflecting contemporary Thai style with a nod to tradition, the luxurious villas are decorated with local art and antiques, and all 40 are airy and spacious. You can expect an oversized bathroom, with sunken bathtubs and separate dressing area. Many of the villas also boast outdoor bathing facilities, such as those famous Asian outdoor showers – so you never have to stop enjoying the sea views. You can walk straight from your villa out onto the sundeck and into the gardens. All the villas at Amanpuri are divine but the rooms we love the most are those with unrivalled views of the glittering Andaman Sea. So if you want to watch the sunrise over the sea every morning, definitely go for one of these gorgeous villas. You won’t regret it. Amanpuri truly is a place of peace, with its luscious surroundings and world class spa making sure you feel totally relaxed. But if you’re looking for a dash of adventure as well, Amanpuri does not disappoint and can offer you a touch of action. Dive into the sea with one of the PADI certified instructors to see the underwater rainbow of fish and coral, or stay on top of the water and take out one of the boats from the hotel’s fleet of luxury cruisers and set off on an island hop and explore nearby Krabi and Phi Phi.